This Jump Start Kit is designed to introduce new players and storyguides to Ars Magica and start them playing with a minimum of preparation. This book includes pregenerated characters complete with detailed backgrounds and goals. It contains informative handouts to instruct first time players on how to read their character sheets, roll dice, cast spells, and wage combat. 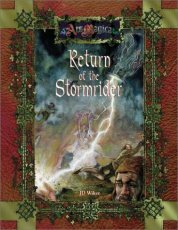 Finally, the story integrates elements of the original Stormrider Jump-Start Kit with new events, making it equally enjoyable for first time players and veterans of the original Stormrider scenario." 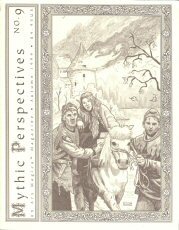 "This long-anticipated supplement features several non-Hermetic traditions of magic in Mythic Europe. The Cunning-folk live close to the land, and know how to make powerful charms, potions, and banes. Natural Magicians study the classical works of antiquity, finding in those scholarly works clues about working magic with formulae and ritual. Spirit Masters call entities of all sorts to them, and bargain with them for services. Finally, Ascetics, though meditation and austerity, are able to take their minds and bodies beyond the mundane limits of the world. 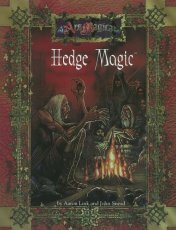 "Rules are provided that allow players to take on the roles of any of these four types of hedge wizards. Or, the storyguide can use them as inspiration for encounters and antagonists. One thing is certain: with these new inhabitants, Mythic Europe will never be the same." 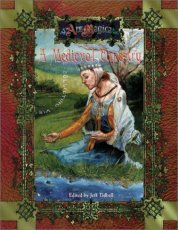 "A Medieval Tapestry: Personalities of Mythic Europe is a 160-page sourcebook, featuring dozens of unique characters to be added to your Ars Magica saga, plus informational inserts and story ideas, as well as magus archetypes." 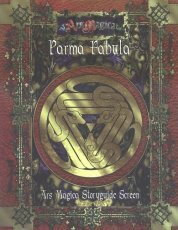 "Parma Fabula is a two-part supplement, consisting of a four panel, card stock storyguide's screen and an inserted booklet full of useful information." 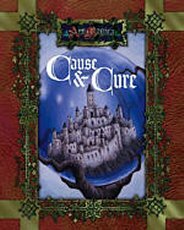 "Atlas Games celebrates its eighth anniversary by revising two classic Ars Magica adventures for the game's Fourth Edition and re-releasing them under one cover. "'The Ghoul of St. Lazare' (by John Nephew) begins with the discovery of a mutilated corpse, evidence of sinister events upriver. 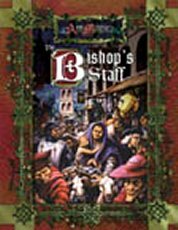 It introduces the players to the sleepy village of Vezay, where evil brews amidst ancient lies, heresy, and dark rituals. "In 'Festival of the Damned' (by Jonathan Tweet), the troupe returns to Vezay, where the forces of Hell have rallied in the desecrated Church of St. Lazare. The magi have been invited to enjoy the pageantry of Easter Week, and to investigate a pouch of magical herbs. Witchcraft is suspected, but that becomes the least of the characters' problems in a week filled with peril and temptation. "'Ghoul' originally appeared in Tales of the Dark Ages, the very first Atlas Games release, in the summer of 1990. 'Festival' was published as a stand-alone sequel the following year. Both have been widely praised by Ars Magica fans, and have been out of print for about five years." 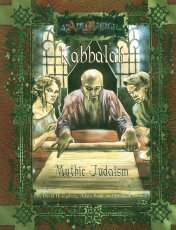 "Kabbalah: Mythic Judaism delves into the Jewish Quarters of Mythic Europe, investigating the full spectrum of Jewish law, history, faith, and legend. It reveals the mysteries of Kabbalah, its scope ranging from gematria to the Tree of Life to the creation of golems. 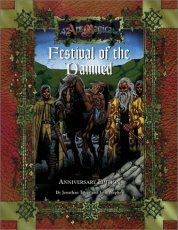 In addition to providing full rules for creating kabbalist characters, it details two new classes of hedge wizards: baal shem and necromancers. Players and storyguides alike will find a wealth of information within." "Magic is the supreme power of Mythic Europe, and this tome of knowledge contains a whole host of new directions for magic. 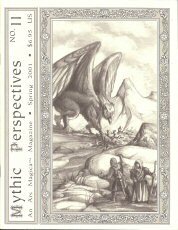 It features new templates for player character magi, essays that examine topics of concern to the wizardly class, rules for improving laboratories in a myriad of ways, sample magic items that demonstrate possibilities and save storyguide time, more than a hundred new spells for use in your Ars Magica saga, and much more. "As a revised edition, though, this supplement isn't just a reprint. 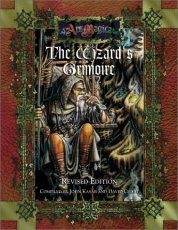 In addition to updating the original Wizard's Grimoire for the Fourth Edition, this book includes a substantial portion of all new material. Completely new rules for faerie magic and a sizable expansion to the Fourth Edition's new book rules only scratch the surface. Truly, this is a must-have item for all players and storyguides who play Ars Magica Fourth Edition." "Welcome to Russia and the lands of the Novgorod Tribunal. These principalities sprawl over an enormous expanse of Mythic Europe, encompassing Novgorod itself, Suzdalia, Smolensk, Polotsk, Volinia, Kiev, Chernigov, Ryazan, Pereyaslavl, Galicia, and Pinsk-Turov, as well as the Kingdom of Poland. Forest, swamp, steppe, and tundra - the Novgorod Tribunal encompasses all of these, and holds the magi who live in it under its authority. And yet for such a vast breadth of land, few magi dwell in this tribunal. Far more numerous are the Volkhvy - the religious leaders of the slavs, who wield their own mighty power. 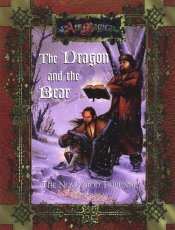 "The Dragon and the Bear includes a complete history of Russia and Poland through the thirteenth century. It offers full rules for Volkhv characters, including the entirely new system of magic used by these pagan elders. It delves into slavic deities — the Old Ones — and investigates slavic Faerie. It details the Hermetic landscape, fully describing four Hermetic covenants and supplying a wealth of ideas for a covenant of player characters. Finally, it examines the Mongol invasions of the thirteenth century, and suggests how they may affect your saga . . . even if it's not set in the Novgorod tribunal!" "The Mythic Seas explores the vast, whitecapped portion of Mythic Europe covered only in water and ultimately ruled only by the whims of God. This book examines the ships that travel the ocean waters, offering rules for their creation and maintenance. 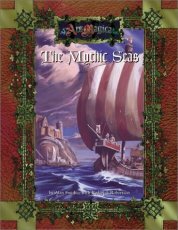 It delves into the myths and legends of the briny deep, suggesting scenarios and sagas to test the mettle of magi. It provides rules for trading holds full of cargo on exotic shores. It details a host of sea-beasts mundane and magical. It offers new spells, new books, and new character archetypes." 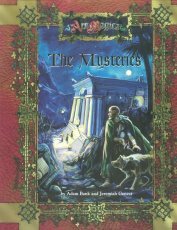 "From the academies of Greece, the cults of Rome, the scriptoriums of Christian monks, the minarets of Islamic sages, and the stone circles of the ancients, the mystery of magic whispers to those precious few who possess the Gift. The Order of Hermes, the legacy of the greatest wizards of Mythic Europe, listens well. "The Mysteries dares Ars Magica players to delve deeper in the minds of magi than ever before by revealing a new level of intrigue and magic at work within the Order of Hermes. This new supplement for playing Hermetic magi exposes a treasure-trove of secrets from the discoverers of magic and the hidden sects within the Order. Dozens of new spells, lab activities, and Virtues bring medieval science, magic, and mysticism to life, including the marvels of alchemy, dream magic, astrology, and daemonology." "Kings belong to a select caste separated from the commonality of man by birth and by God's anointment. A powerful rebellious subject may hold his king prisoner — and may even have him murdered — but will never stoop to treating his monarch publicly with anything less than the utmost respect and courtesy. 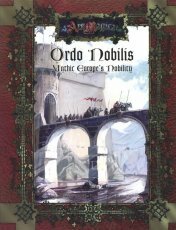 "Ordo Nobilis is a survey of Mythic European nobility. It looks behind the stereotypes, presenting a detailed picture of the noble life by defining what a noble is, what various noble ranks and titles mean, how nobles interacted with each other, and how they interacted with broader society. It examines their concerns and interests, how they lived, what they did with their time, and how they did it. "Ordo Nobilis includes a number of new mechanical options for combat (especially knightly combat), introduces a new system for monetary record-keeping based on the Mythic Penny, contains a system for resolving legal conflicts, and presents three scenarios that take full advantage of these options." "When the universe began, there was only a chasm so immense that even the gods would become dizzy looking into it, known as the Ginnugagap. It was here that Yggdrasil — the World Tree — would lay down its roots. 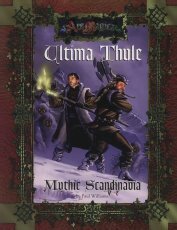 "Ultima Thule: Mythic Scandinavia is the sourcebook of Norway, Sweden, Denmark, Iceland, and Greenland. It describes the denizens of these lands, delving into their culture, rulers, customs, calendar, myths, and deities. It talks about their often-violent relationships with Mythic Europe's other nations — England, Ireland, Scotland, and Russia, to name but a few. Scandinavian mythology is covered extensively, from otherworldly places to gods, creatures, and races. "Ultima Thule is more than a background manual, though. It provides exhaustive rules for Norse character creation. In addition to rules for grogs and companions, new mystic companions are introduced. The vitkir are runemasters who draw their might from chiseled and drawn characters of power. A completely new system of magic is presented that allows these characters to loose the power of the runes. Finnish wind wizards are also presented; they provide a new twist on weather magic." 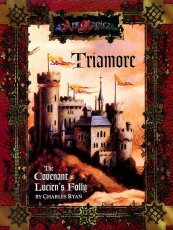 "Triamore is an Ars Magica Fourth Edition sourcebook covering this unique covenant, its manorial holdings, and the surrounding region. It's more than a narrow treatment of these topics, though — it's a treatise on the society, politics, and manorial life that surround every covenant, explaining how Triamore, Bois de Haillot, and Brabant are similar to — or differ from — every covenant, village, county, or duchy across Mythic Europe. More than that, Triamore presents a complete overview of a living, thriving covenant, ready for occupation as-is by a group of player characters, for use as a detailed NPC covenant, or merely as an example of what a well-developed covenant can be in an Ars Magica campaign, filled with ideas that may be scavenged for your own saga. For any storyguide or player seeking a focused look at day-to-day life in a covenant and in rural medieval society, Triamore is a complete and detailed study." "By the thirteenth century, the bestiary was one of the most popular books available in Europe after the Bible. The bestiary was both morality play and encyclopedia. The emphasis was on morality play, since most bestiarists were monks or other Christian scholars. From their point of view, the habits of animals provided insight into how we humans should be living our lives as Christians. 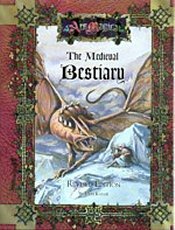 "The Medieval Bestiary: Revised Edition is an Ars Magica supplement for player and storyguide alike. You should have this book if you plan to seek a familiar, play a shape-shifting Bjornaer, or tell stories that involve animals and fantastic beasts. The creatures described in this work are presented from a medieval point of view to help set the mood of your game. "The creatures described within this bestiary are ones known to the people of Mythic Europe, the setting of Ars Magica. Thus, there are familiar animals -- horses and hounds, cats and cows -- and exotic creatures -- dragons, gryphons, and sirens. Each creature is presented with a description written by Caprea of House Bjornaer, which reflects her views as a maga and scholar in the Order of Hermes. Statistics are presented for creatures when appropriate, and are compatible with Ars Magica Fourth Edition." "Though many believe it dissolved long ago, one day a messenger brings the player magi an invitation to visit. Lured by the prospect of a political ally and magical trading partner, the players are drawn into a web of intrigue and dangerous entanglement with mundanes and the Church. All of their magical, investigative, and diplomatic skills will be required to find a vanished wizard, prevent a pogrom from being unleashed upon innocents, and understand the mystery of a saintly visitation. This 48-page adventure features maps and descriptions of the town, covenant, and many characters, as well as new rules for Karaite magic, an unusual tradition springing out of the mysticism of a Jewish sect that has flourished at Sapientia Aetatum." 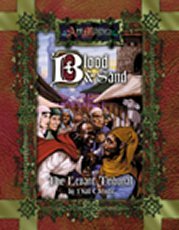 "Blood and Sand is the guide to the Hermetic tribunal of the Levant. It details the mundane and Hermetic geography and history of the area, shaped by Islam and the Crusades. It describes the mundane and magical inhabitants of the region, be they emirs in mighty castles or traders in the Latin states, magi of Hermes or Muslim sorcerers, jinn or naddahas. From the Ark of the Covenant to the criminal underworld of Acre, this book provides everything you need for a saga set in this most volatile of Hermetic tribunals." 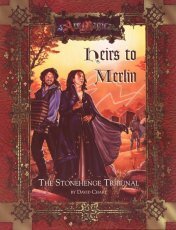 "Heirs to Merlin: The Stonehenge Tribunal details Mythic Europe's England and Wales. This essential work surveys a fascinaging land ripe for adventure, from tales of King Arthur to the death of Thomas Becket, from the coming of the Order of Hermes to the ascendance of Blackthorn covenant, and from the druids' stone circles to tales of the English saints." 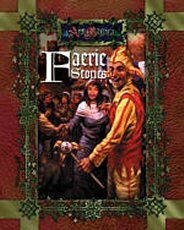 "Inspired by the legends of Brittany, Faerie Stories is a collection of ideas and detailed supporting information for Ars Magica, with a common theme: encounters and dealings with faeries. It is a simple but useful tool for storyguides and their troupes; a source of tales and ideas, ready to use when the storyguide needs an incident to fill a gap in the flow of play, or is looking for some fresh inspiration. While nominally set in northwestern France, it can easily be moved elsewhere in Mythic Europe." "a place where glaciers stretch to the horizon, where fissures pour forth rivers of molten rock, where giants still tread and ancient spirits guard forgotten secrets. Iceland sits on the edge of the frozen sea, its people clinging to the coastal lowlands while the interior is still the realm of the giants, trolls, spirits and fantastic beasts. On the civilized mainland creatures of legend may rarely show themselves, but in Iceland they rarely hide. Within Europe the Order of Hermes holds absolute magical dominion, but Icelandic magicians go about their business unaware of the Order of Hermes, its magi and their pretensions. These Norse wizards concern themselves with the politics of spirits, warding against troll raids and wresting a good growing season from Iceland's capricious weather. 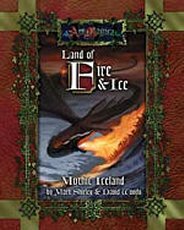 "Land of Fire and Ice gives your troupe the opportunity to explore this wondrous land ruled by the law, rather than by a king. Magicians live in harmony with their mundane neighbors, but feuds bubble under the veneer of civilization." "For hundreds of years the magi of the Greater Alpine Tribunal have maintained Hermetic peace. Not for them the squabbles of the border tribunals, the petty incursions, the little animosities. In the valleys of the Alps, Hermetic culture and Hermetic magi have flourished. Covenants which knew the voices of the Founders nurture ancient magi here, magi whose powers caress the edges of the possible. Only those things sanctified by time survive the harshness of the mountains. Everything here is armored with the strength of centuries. 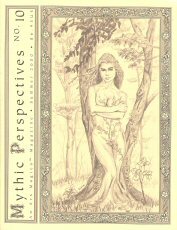 "This supplement takes familiar elements of Hermetic culture and rebuilds them, without the scrimping and compromises of life at the edge of the Hermetic lands. Redcaps and Order-endorsed hedge traditions blossom under the aegis of Hermetic justice, justice enforced by the cunning and the ruthless. Hermetic trade and intrigue weave strands of interdependence between bitter rivals, so that Wizard's War seems a refreshingly rustic way of settling disputes. 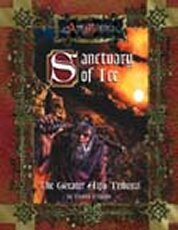 "Sanctuary of Ice describes the Hermetic quest for longevity, and the magi who cheat death as ghosts. It considers the plans of the Primi of House Jerbiton and House Criamon, and the schemes of magi more faerie than human. It describes Hermetic culture at the apex - the tribunal where moonlight is woven into every stone." "The Misty Palace is a place of danger and self-reflection, where the characters' actions determine whether they live or die. They must face themselves on a footing where there is less difference between magus and mundane, deacon and ditch-digger, grog and grape-grower than in Mythic Europe. The characters must learn more about themselves in order to survive." "In Mythic Europe, kings rule their feudal lands, but their wives can be stolen by magic. The church preaches repentance, and saints manifest on Earth to enforce their will. Countries can be changed into lakes, and whole islands hidden from all who are unworthy to find them. A cat can be a guardian of great power, and a leopard the agent of divine justice. The dead might return to further serve their infernal masters, or be led across the continent in Hellequin's Hunt. 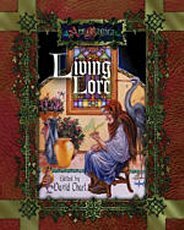 "Living Lore is a hardcover supplement for Ars Magica, containing dozens of medieval legends adapted for your saga. Whether you want a tempting faerie or a new mystery cult, there is something for you in this book." 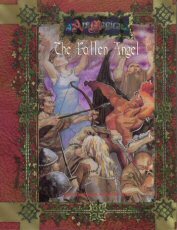 "The Fallen Angel is a story for use with Ars Magica Fourth Edition, but which can be easily adapted for use with any other edition of Ars Magica. The Fallen Angel takes place in 1220 in Ireland and the Isle of Man, but information is included which allows this scenario to be adapted to alternate locations and times within Mythic Europe."